Augmented reality does not end with your smartphone. There are many more ways to enhance your perception of the world. However, it is important to understand that AR is not a monolithic technology. As is often the case, subtle (and sometimes not so subtle) differences in implementation can play a key role in how successful a technology is for a specific use case. Several categories of augmented reality technology exist, each with varying differences in their objectives and applicational use cases. There are two primary types of AR implementations: Marker Based and Markerless. Marker-based implementation utilizes some type of image such as a QR/2D code to produce a result when it is sensed by a reader, typically a camera on a cell phone. Markerless AR is often more reliant on the capabilities of the device being used such as the GPS location, velocity meter, etc. It may also be referred to as Location-based or Position-based AR. Marker-based augmented reality (Recognition based) Sometimes called Object/Image recognition based, the core idea is that a device’s (phone, tablet, etc) camera pulls in a visual of the surroundings, and software on the device recognizes a particular “marker”, which then triggers the software to provide an output. Simple outputs may be playing a short video or audio file to showcase Augmented Reality animation tutorial. More complex outputs could include launching an animation or interactive visual effect. Marker-based AR uses a camera focuses on recognition of real-world objects or some type of visual markers. Simple patterns (such as a QR code) oR actual real world image (NFT) or real-world object (CAD based detection) are used as the markers. The position and orientation are also calculated, in which some type of content or information has then overlaid the marker. Once the recognition is complete, it replaces the marker on screen with a 3D version of the corresponding object. This allows the user to investigate the object in more detail and from various angles. Rotating the marker would rotate the 3D imagery as well. As one of the most widely implemented applications of augmented reality, Marker-less AR will trigger via differing types of triggers. These could be geolocation (PokemonGO! is a good example) or user input combined with spatial recognition (like Artifacts OR furniture placement applications). 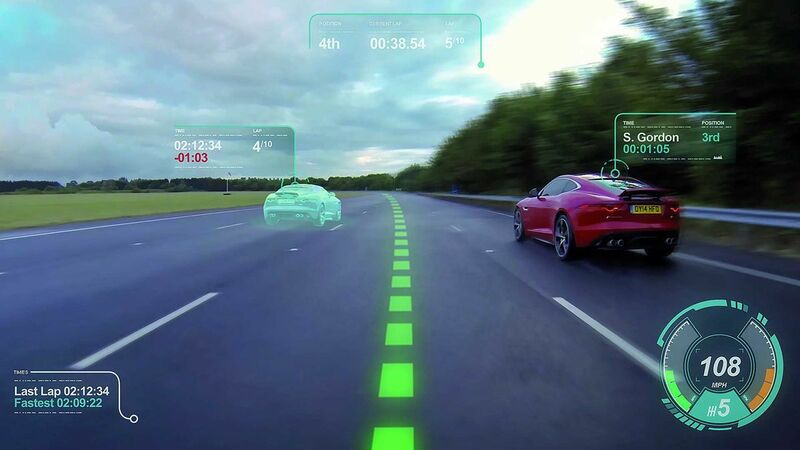 The technology behind markerless augmented reality is Simultaneous localization and mapping technology (also known as SLAM) is one of the most advanced technology in augmented reality. By processing a bunch of complex algorithms and managing sensor data it maps unknown surroundings and identifies its own localization at the same time. Markerless Augmented Reality is poised to arise in the public consciousness in a big way in the second half of 2017, thanks largely to some gigantic corporations getting behind the technology in a big way. That starts with Apple, which made a huge splash back in June with the announcement of ARKit, which was immediately dubbed a “game changer” for AR. Not to be outdone, Google unveiled ARCore, their own native Markerless AR toolkit for Android. The location-based augmented reality, uses a GPS, digital compass, velocity meter, or accelerometer which is embedded in the device to provide data based on your location. If you’re a traveler and you want to discover new great places, this method will use your location by reading your smart device’s GPS, compass and accelerometer and give you relevant information about what you’re looking for on your screen. It is most commonly used for mapping directions, finding nearby businesses, and other location-centric mobile applications. Location-based AR is a subtype of Marker Less augmented reality. Beacon is another example of location-based AR, This implementation leverages the use of beacons, which typically work via Bluetooth. In this case, with a Bluetooth-enabled device, a user who passes close to a beacon will trigger the initiation of the application. For example, a museum may use beacons at exhibits to trigger narration for that exhibit for users with the museum’s app installed. Projection based augmented reality works by projecting artificial light onto real world surfaces. Projection on objects can be used to create deception about the position, orientation, and depth of an object. In such a case an object is taken into consideration and its structure is studied in depth. Projection based augmented reality applications allow for human interaction by sending light onto a real world surface and then sensing the human interaction (i.e. touch) of that projected light. Detecting the user’s interaction is done by differentiating between an expected (or known) projection and the altered projection (caused by the user’s interaction). Another interesting application of projection-based augmented reality utilizes laser plasma technology to project a three-dimensional (3D) interactive hologram into mid-air. Once again, object recognition sits behind all that outlining AR can do and might look a bit like a projection-based AR.For example, whenever you’re parking your modern car in the dark, outlining AR recognizes the boundaries of the road and outlines them for you. This method can also be used in architecture and engineering to outline buildings and their supporting pillars. Superimposition based augmented reality either partially or fully replaces the original view of an object with a newly augmented view of that same object. In superimposition based augmented reality, object recognition plays a vital role because the application cannot replace the original view with an augmented one if it cannot determine what the object is. A strong consumer-facing example of superimposition based augmented reality could be found in the Ikea augmented reality furniture catalog. By downloading an app and scanning selected pages in their printed or digital catalog, users can place virtual Ikea furniture in their own home with the help of augmented reality. These types use more multiple sensors and may produce the result in different forms. Such systems employ special faculties of dedicated devices working in parallel with processing systems with algorithms developed especially for being used in AR. As more input and output devices converge to more powerful and efficient systems, we would come across more types of AR in future. What type of Augmented reality does your company need? You know why brands like Apple and Tommy Hilfiger sell like hot cakes? It is because they have a unique selling proposition and a user experience that makes customers come for more. People believe and buy stuff they see. Visual cues do play a vital role in our decision making. This is why you need to take Augmented reality seriously and make it a vital part of your marketing strategy. With the advent of new age technologies in digital marketing, augmented reality has been the latest to make its entry in creating brand awareness among a medley of industries. Be it real estate, entertainment or for educational purposes, there are different kinds of Augmented reality used for a medley of purposes. Be it brand awareness or to explore the product being offered, these days even a non-programmer can create an app to create AR experiences further closing the divide between the digital and the reality. The gaming industry and Advertising industry are going to be the major benefactors in this technology and the future looks pretty real and exciting. 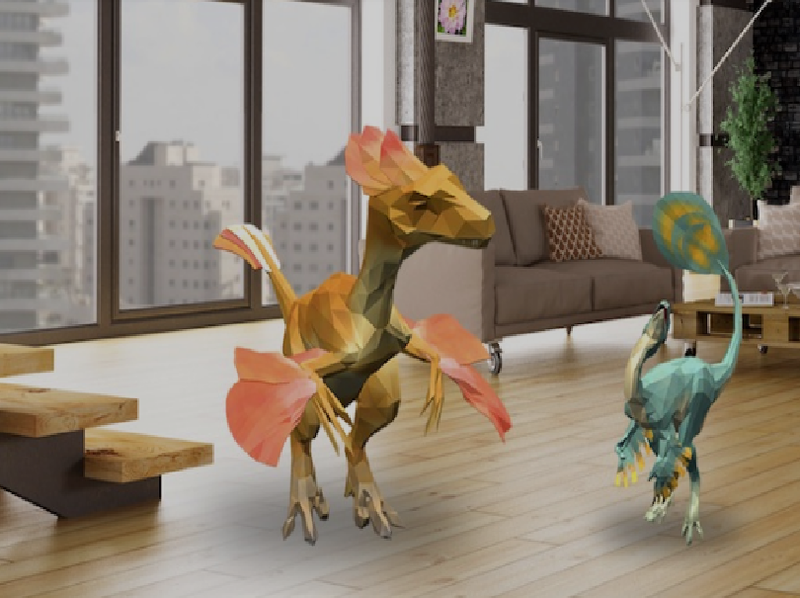 ← What is Augmented Reality and How Does It Work?